Had a great day in San Francisco on Saturday, but boy was it busy. The food court at the mall was insane, and I mean insane, people were fighting over tables, it was pure craziness! Little Jenny got most of her Christmas shopping done, but for me, I got none done, bought myself some cute things, he he, but still not a clue on what to get people. 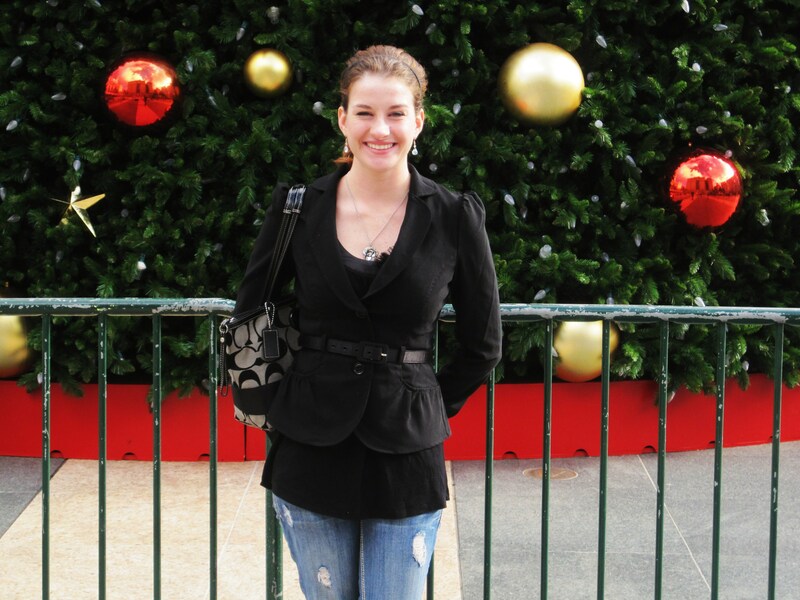 Here’s me in front of the Christmas tree. I love this picture of Jenny. 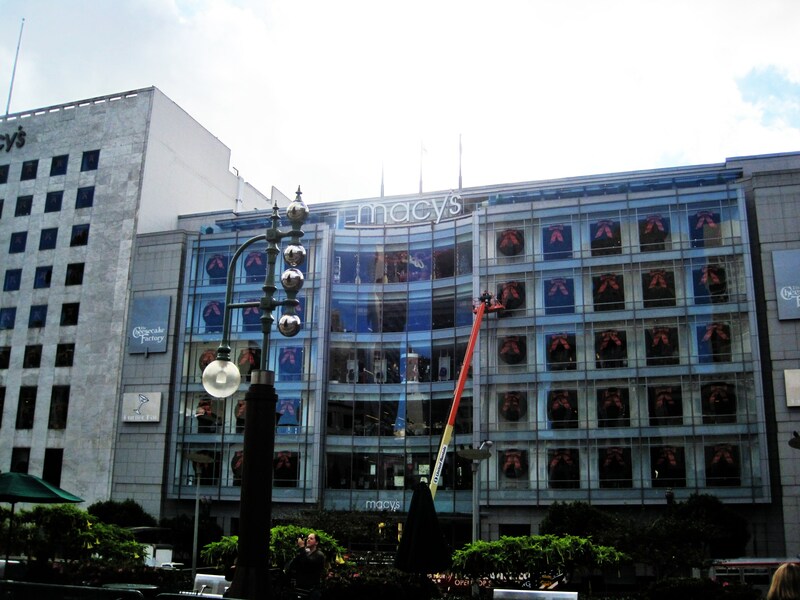 They were putting the wreaths up in the Macy’s windows. 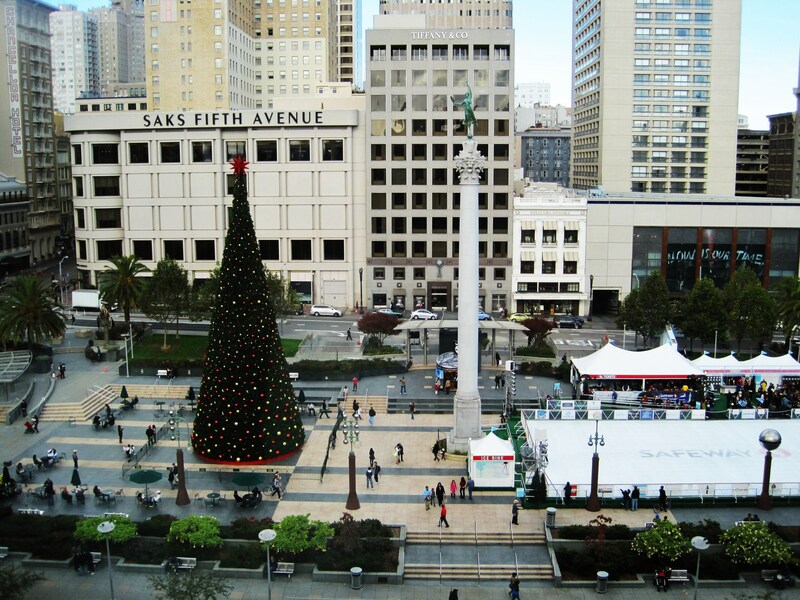 The Christmas tree in Union Square. 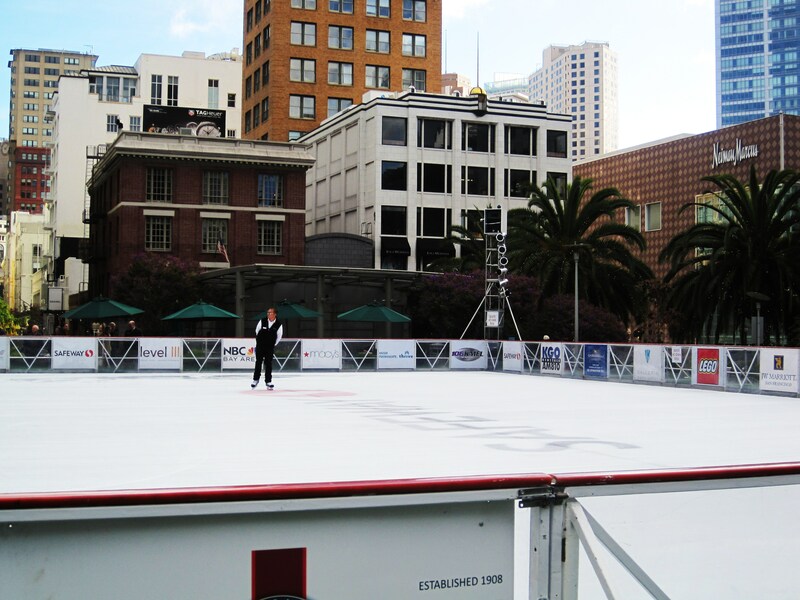 Ice skating rink. They were playing the Monkey’s. It was 9:30 in the morning, so no one was skating yet. 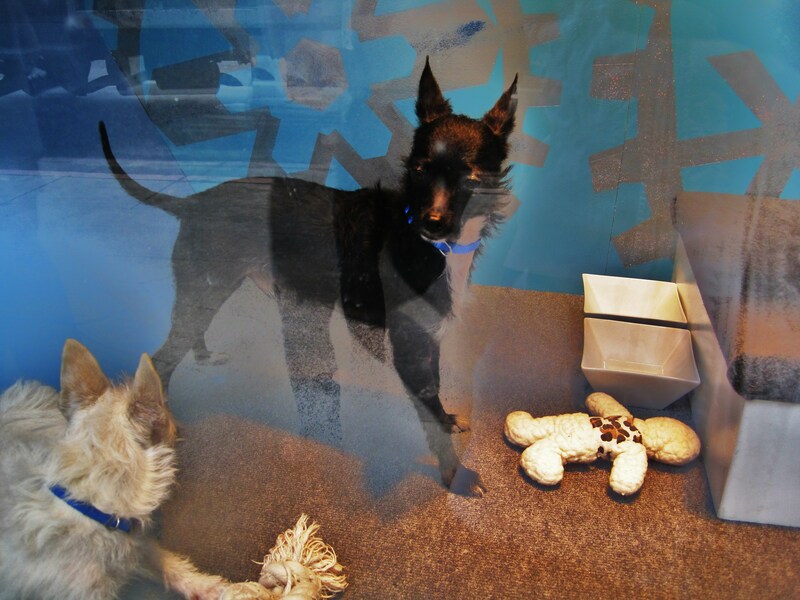 These are dogs in the windows of Macy’s. 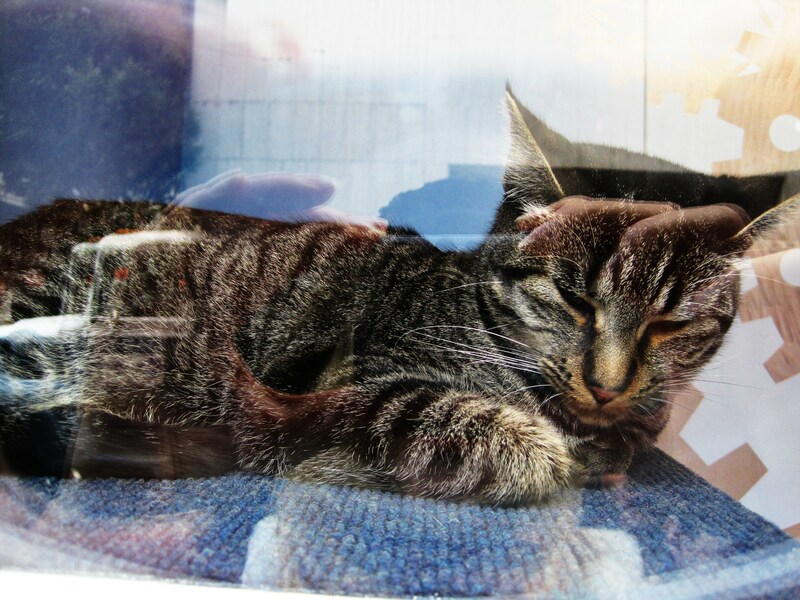 Every year the ASPCA has the dogs and cats in the window that are up for donation. I think they have been doing this for over 20 years. Oh and here’s a cat. I love Tiger Cats. Thats about it for our trip. We spent a good portion of the time in the mall, which like I said was crazy busy. Actually insane, makes you not want to shop. We walked around for 7 hours, so I think I got my walking in! 🙂 The rain held off till I got home! Now it’s rain for the next few days! I guess I’ll be doing a lot of baking!! 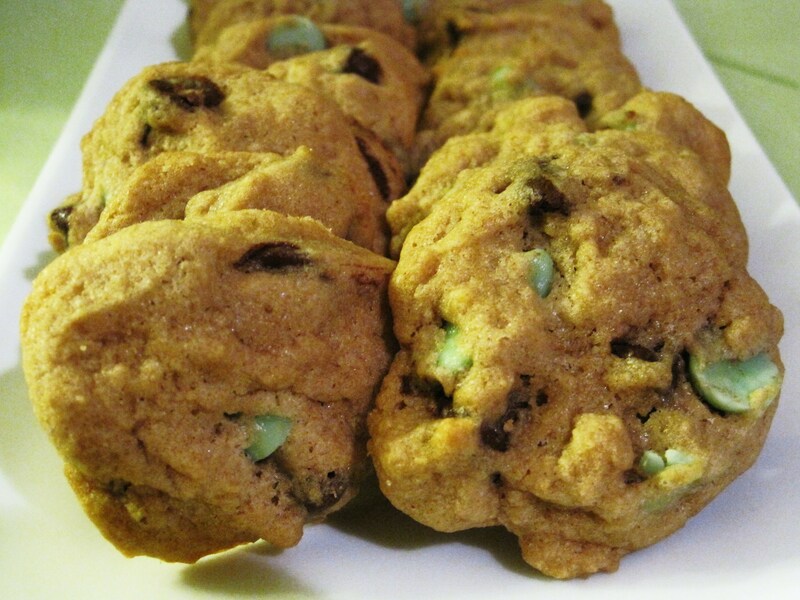 Here is a recipe for Mint Chocolate Chip Cookies I made this week. They are addicting, especially if you love mint and chocolate!! I totally ate the batter, way to much batter, but it was good!!! 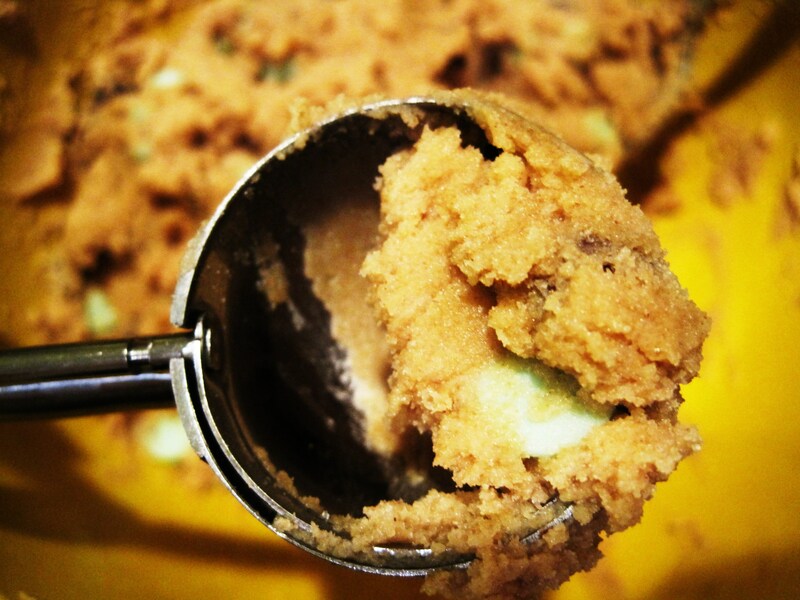 Whats up with eating cookie dough? Why is it so good? It’s not good for you, it has raw egg in it! Ick! I only used 1/2 a ice cream scoop full of the dough. 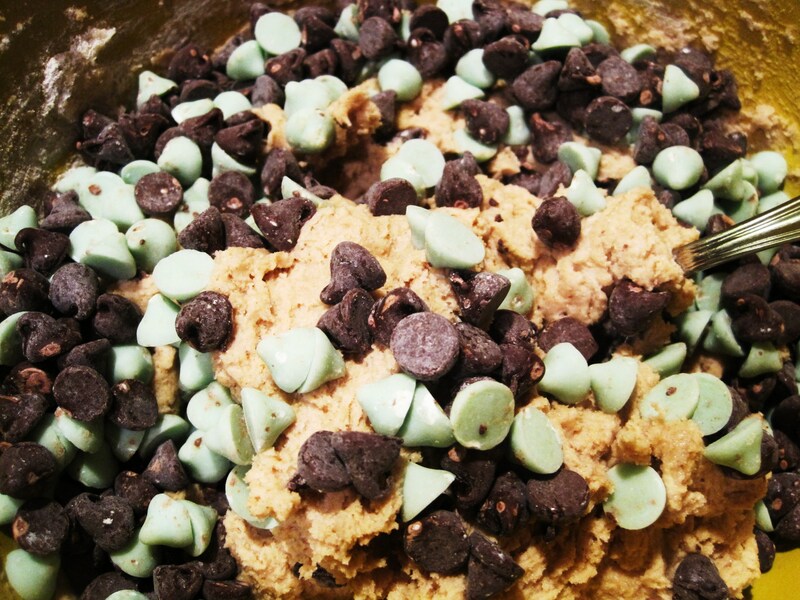 Makes for more cookies and less calories, well unless you eat the dough and more cookies. 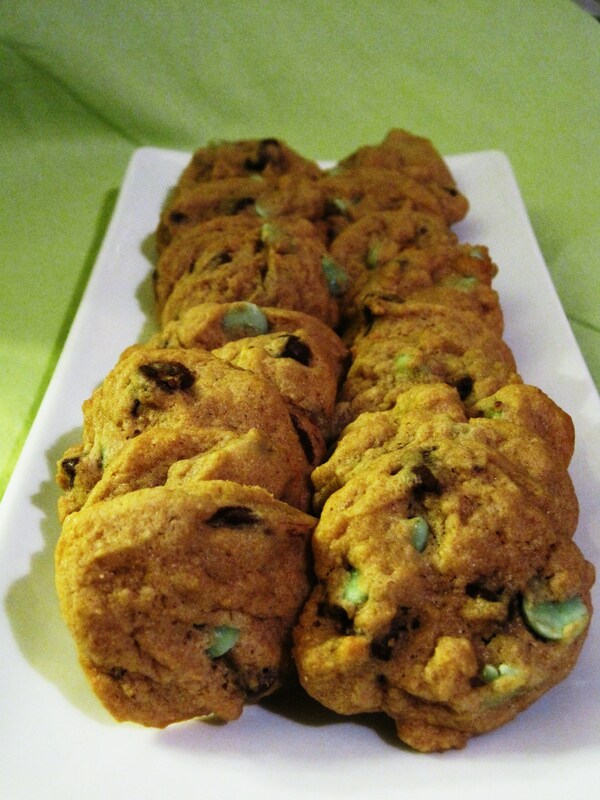 Do you like big or small cookies? 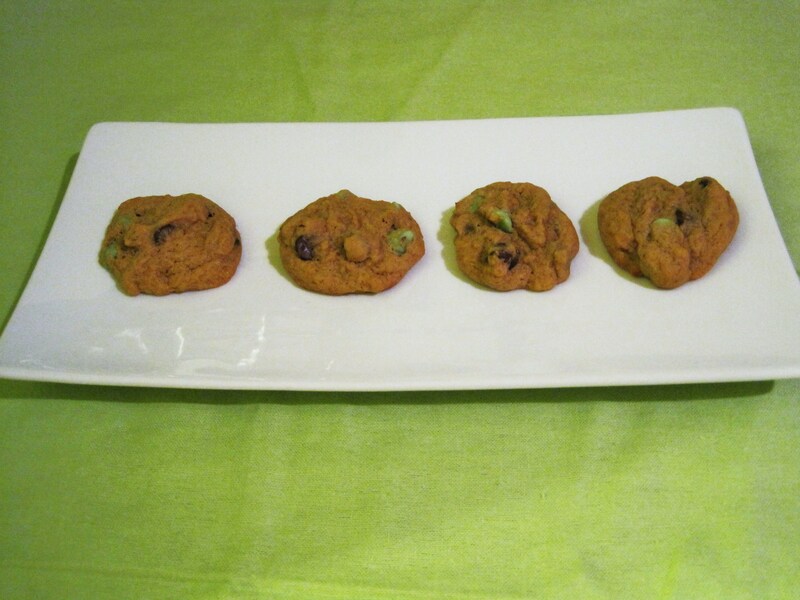 These cookies went fast, well fast because I made my Husband take them all to work, I can’t have these hanging around the house. In a Medium size bowl add the flour, baking soda and salt. Set a side. In large bowl, cream butter, sugar and brown sugar until light. Beat in eggs and mint extract until smooth. Gradually add flour mixture until combined. Stir in Chips. 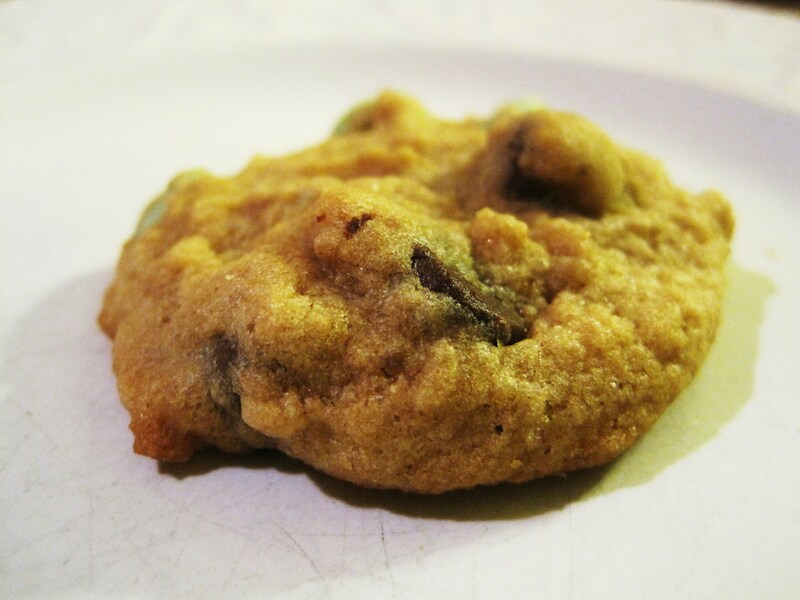 Drop a rounded teaspoon of dough onto ungreased cookie sheets. Bake 8 – 10 minutes until golden brown. Makes 84 two inch round cookies. Yes I got 84 cookies! Have a great rest of the weekend!!! Don’t forget to enter my free Giveaway for a signed autograph book from Bobby Flay! Oh, I LOVE SF during the holidays! I am going with my mom in about 3 weeks and cannot wait!! Those cookies look delish! 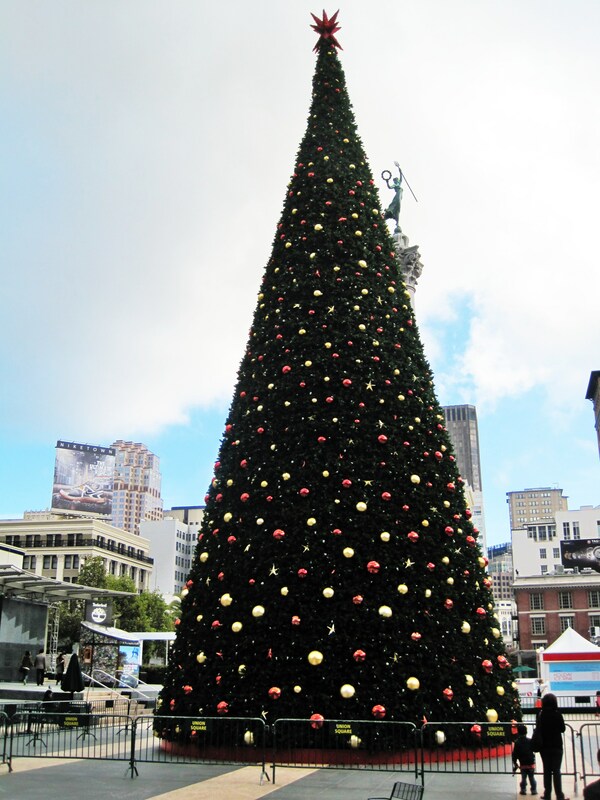 I want to go to SF at Christmas time again. It’s so pretty with all the Christmas lights. You will have so much fun!! !